Since the 1980s, hackers have used viruses to get inside computers and copy passwords, credit card numbers or other financial information. But now they’ve found an easier and less riskier way to get victims to part with their money: they ask for it. 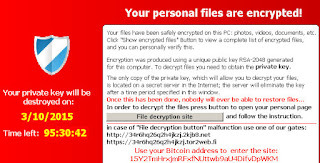 The latest scourge of the Internet are extortion viruses called ransomware. With names like Locky, Cerber and TeslaCrypt, the new viruses are stealthy bits of computer code that a user unknowingly downloads onto their hard drive. But instead of searching for and stealing data, ransomware applies encryption to the user’s most valuable files, making them impossible to read without a digital key. The cyber criminals then demand a payment to provide that key. Ransomware is big business and getting bigger. The FBI’s Internet Crime Complaint Center said it received 2,543 ransomware complaints last year and that victims paid more than $24 million to recover locked files. Ransom victims have included a sheriff’s department in Tennessee, the city government offices in Plainfield, NJ, and several hospitals, including one in California that paid $17,000 to recover its files. Writing in The New York Times last year, author Alina Simone described how her mother’s computer had been infected with a ransom virus called CryptoWall. The hackers behind the virus demanded a ransom of $500, paid in Bitcoin, a digital currency that is almost impossible to trace. 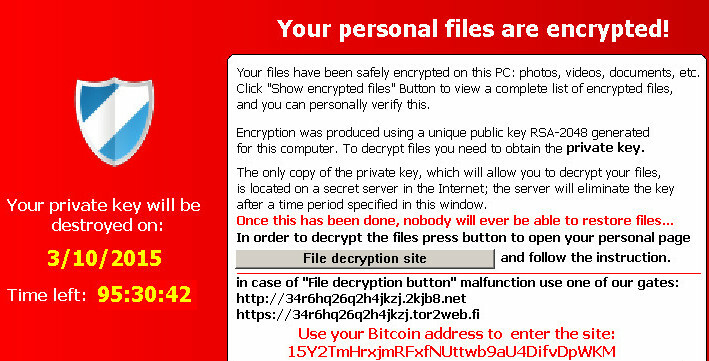 Unlike common computer viruses, the file encryption applied by ransomware can’t be fixed using conventional antivirus software. Unless you’re the CIA or the NSA, there’s no way to reverse encryption without the digital key that was created when the files were locked. The FBI encourages victims to report ransomware incidents, but they can’t help victims recover their data. Simone’s mom decided to pay up and the key arrived. So far, ransomware hackers have a reputation for keeping their promises. If the data kidnappers stopped providing encryption keys, victims would stop paying. Some makers of antivirus software such as Bitdefender offer programs that will monitor a computer and signal when a ransomware virus is detected. But those programs typically detect only well-known viruses and hackers are always developing new strains, keeping the black hats a step ahead of the good guys. Make frequent backup copies of your most important files. Store the backups on an independent hard drive that can be disconnected from the computer or use a cloud-based service like Carbonite or iDrive. Keep your software up to date, especially the operating system and browser plug-ins like Flash and Java. Those updates that Microsoft and Apple ask you to install are often distributed to close a newly-discovered back door that hackers can exploit. Don’t open attachments in an email that you weren’t expecting, even if it appears to come from a person or company that you know. And don’t click on a web link in an unsolicited email. 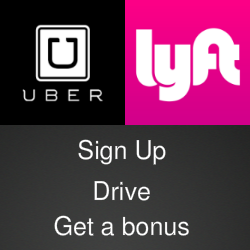 That one click could end up costing you a bundle. YoBit lets you to claim FREE COINS from over 100 different crypto-currencies, you complete a captcha one time and claim as much as coins you want from the available offers. Ever tried maximizing your free BTC claims with a BITCOIN FAUCET ROTATOR? If you're looking to buy bitcoins online, PAXFUL is the best source for bitcoins as it allows buying bitcoins by 100's of different payment methods, such as MoneyGram, Western Union, PayPal, Visa, MasterCard, American Express and even exchanging your gift cards for bitcoins.